The Conscious Cat has a new family member! Allegra and I are excited to welcome Ruby into our hearts and home. Well, right now, I might be a little more excited than Allegra, but considering that Ruby only came home yesterday morning, things have been going really well. Initially, Allegra was really mad at me for bringing this little intruder into her house, and she watched suspiciously as Ruby began to explore her new home. Whenever Ruby came too close for comfort, she made sure Ruby knew that Allegra was in charge! 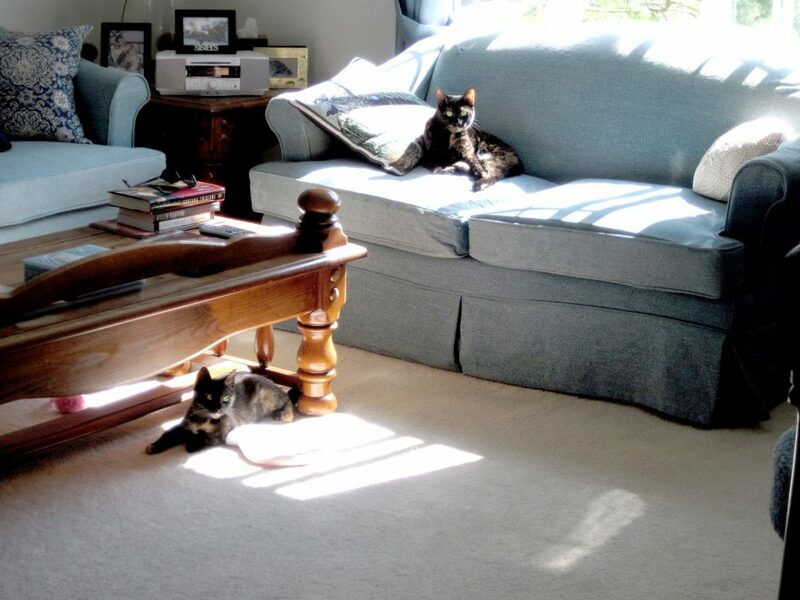 By late afternoon, both cats were exhausted, and ready for a companionable nap in our sunny living room. I was amazed, and thrilled, that after less than six hours, they were that comfortable being in each others’ company. And yes, it’s almost uncanny how much alike they look. In the photo below, Ruby is on the floor, Allegra on the loveseat. On some of the photos I took yesterday, I actually had to look for identifying marks to tell them apart. Even though at eight pounds, Allegra is bigger than Ruby, depending on the camera angle, it was sometimes hard to tell! I met Ruby on March 31 (coincidentally – or maybe no so coincidentally! – the same day I met Allegra a year ago). She was fostered through the SPCA of Northern Virginia, and lived with a lovely young couple and two big male cats. Her foster parents named her Cinnamon. The SPCA’s vet estimated her to be between six months and a year old – I’m leaning toward the lower end of that range, she’s tiny! She’s a total lovebug, in fact, her name in her initial vet record is Lovebug. She was found in someone’s backyard literally “asking” to be rescued. When the kind woman heard the little kitten crying, she opened the door and Ruby ran right up to her without any hesitation. Everyone deals with loss at their own pace, and almost a year after losing Amber, I was finally ready to open my heart, and my home, to a new baby. I could have taken her home sooner, but wanted to wait until I had a few days in a row with few outside appointments so I could help Ruby settle into her new home and help her and Allegra adjust to each other. Ruby is a very self-assured little kitten. She’s super affectionate – she likes to rub up against legs so affectionately that she tumbles over! I don’t think she knows how to play with other cats yet, the two big boys in her foster home were a little intimidating to her, but she’s able to endlessly entertain herself. Yesterday, she spent most of the day in my family room, which is really the kitty playroom. There’s no furniture, just cat trees, scratching posts, and toys everywhere. Allegra watched her every move, but didn’t participate in any play (although at times, it really seemed like she wanted to, but then she remembered that she was mad at me and the little intruder). After a while, they chased each other occasionally, and I’m hoping that as they get used to each other, they’ll learn to play with each other. In the meantime, I’m working on my hand-eye coordination so I can play with interactive toys with both of them at the same time! She also had fun exploring stairs – her foster parents live in an apartment, so this was new territory for her. After the first few, somewhat klutzy, attempts, she now flies up and down both sets of stairs as if she had done it all her life. Allegra is still withholding judgment as to whether all of this was really a good idea, but I’m sure you’ll hear from her in her own words in just a few days. And you never know, once Ruby settles in, you just might find her blogging here, too. You can see wonderful “baby pictures” of Ruby (formerly Cinna), along with photos of her two foster “brothers,” on her foster parents’ photo blog. Happy anniversary, Ruby. You are a precious little lady! Congratulations on your new addition! she looks very sweet! Thanks, Janelle! She is a sweetheart. have added to your family. Thanks, Karen! By now, Allegra and Ruby are best buddies. They play together, chase each other through the house, and they both sleep in bed with me at night. bed with anywhere from 3 to 7 cat bodies at night! Oh Ingrid! I am so happy to hear you have brought Ruby into your heart and home. May you have many years of joy together sharing what are sure to be wonderful adventures and delight, feline style! It is hard after you lose a pet to know when to bring another one in. But then, one day, you just know it “feels right.” I am very excited for Allegra too and am happy your acclimation process is going so smoothly! Thanks, Deb and feline crew! They’ve become best friends very quickly. YAY!!!!! What a complete and total pleasure it is to meet RUBY!!!!! I am so happy for you that I could burst! It was definitely meant to be. Meeting her the same day you met Allegra? The fact that they look nearly identical? Also….they are getting along in only approx 6 hrs? I wish you many, many happy and wonderful years with your new baby girl!!!! Thanks, Caren! They’re best friends by now! Ingrid and Allegra-oh my goodness who exciting and I just read the comment from Kay. I am so happy that Ruby has a wonderful home. She could not be in a better place. Thank you, Esme, Penelope and Magellan. Allegra and Ruby are already having fun together. I’m the one who found Ruby/Cinnamon/Lovebug in my backyard, and I am so, so glad she has found what sounds like the greatest of homes. She is so loving — I still miss her! Thanks so much to you and Kathleen and her foster parents. 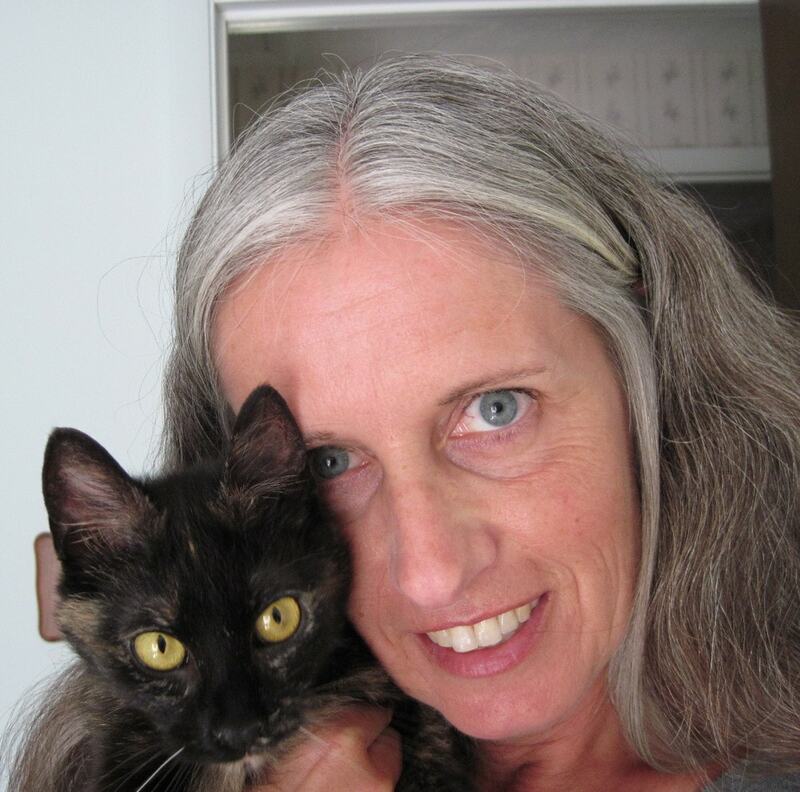 Oh my goodness, Kay – thank you for rescuing Ruby! She’s absolutely adorable. She practically throws herself at me for some loving and petting! And she’s a little purr machine, too. She and Allegra are becoming fast friends. Last night, they started playing with each other and chasing each other all over the house. Congratulations! She’s gorgeous! And I’m just thrilled that Allegra is adjusting so well. Thanks, Jeanne! Noone could be more thrilled than I am that Allegra is adjusting so well. Ingrid, So happy for you! Glad you made the leap in your own time when you were ready. I’ll bet the two will be best buds soon. And you’ll be happy Allegra has a friend to keep her company. Enjoy your new lil’ energetic fur bundle! Thanks, Ann! They’re well on their way to becoming friends. Welcome sweet little Ruby!!!!!!!! You have found such a loving home, and I’m so glad to hear that you are adjusting to your new life so quickly! You are a very smart girl, and I bet Allegra is going to love you a lot very soon! Wishing you, your big sister and your Mom lots of joy and happiness together! Anna, thank you! We’re having so much fun together already. Congratulations Ingrid! Ruby is a very lucky cat. I look forward to hearing more about your two beautiful girls. Thanks, Debbie! I think I’m the lucky one. Congratulations on adding a new member to your family! I knew you would eventually. I’m glad they are getting along so splendidly, so soon! Thanks, Debbie! It’s so wonderful to have Ruby here with us. OMGosh!! Ingrid how did I miss this! Oh, congratulations on the new family member. Ruby looks adorable and in time I’m sure she and Allegra will be the best of sisters. Thanks, Mason! I don’t think it will be long before they’ll be best buds. Concatulations on your new addition! Ruby looks very cute! Congratulations Ingrid! Ruby is adorable! It sounds like Allegra is going to adjust well and enjoy her new sibling! Has Allegra forgotten yet that she’s mad and mistakenly begun playing with Ruby? I think it’s only a matter of time, then human mom had better watch out! Not quite yet, Bernadette, but I think we’re going to get there. I have a feeling there won’t be many dull moments at my house with two young torties! Wow, I just saw this. That is so exciting that you have a new member of your family. It sounds like Ruby and Allegra are going to get along really well. It is always to good to hear about kitties find such a wonderful forever home. Love the picture of the two of them kind of together. I am thrilled for you and so glad you did this. Thanks, Marg! It’s so nice to have Ruby here, and I think once Allegra gets over being a little mad at me for rocking the boat, she’ll love having a little sister. Congrats on the new baby! I hope Allegra is more welcoming to her new sister than Tasha was to Chloe!! It’s been over a year now since I brought Chloe home (just before Christmas a year ago) & while they have yet to sleep together, they are now playing together & will both sleep on the bed with us at the same time, which is a huge step forward! Thanks, Anita! I’m hoping that eventually, Allegra and Ruby will play and sleep together. Sweet account of a sweet kitty. Thanks, Roberta. She is a sweetheart. Congrats, Ingrid and Allegra! And of course Ruby, too. I’m glad you’re not having too much trouble introducing them and I’m glad to hear it’s going smoother than it went for Lola and Lexy. That was quite a chore. I’m looking forward to Allegra’s blog about her new sister. Thanks, Dawn. I can’t believe how smoothly things are going. How wonderful and how lucky for Ruby. I hope the transition continues to go smoothly. Congratulations to all of you. What a sweet and loving face Ruby has! I can tell just by looking at her that she’s a love bug! 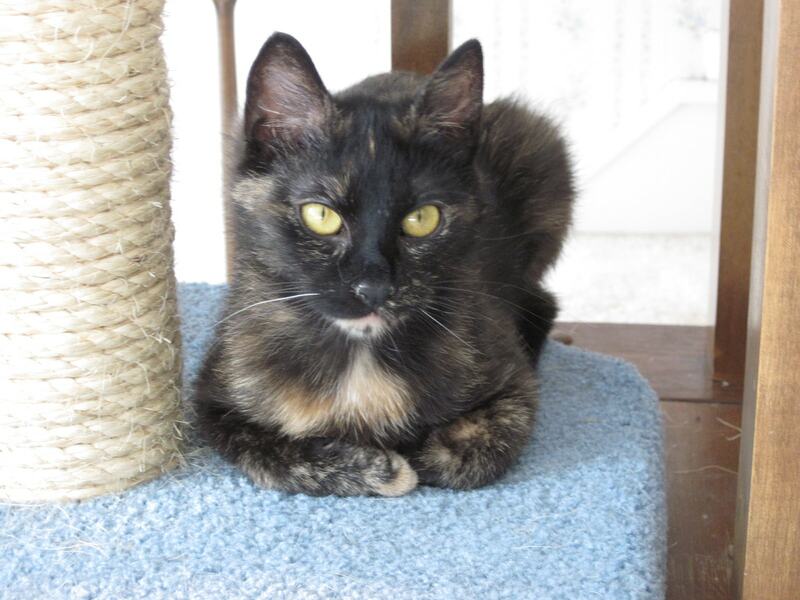 Congratulations on adopting another beautiful kitty, Ingrid. I can’t wait to see more pictures and hear about how Allegra is doing with her new Tortie pal. Thanks, Bernie! It’s fun having a baby in the house again. Allegra is still debating the fun part. You will all hear from her soon. Congratulations! And yes, it’s amazing that the intros have gone so well. Kittens tend not to be quite as much of a challenge as intro-ing adult cats. Glad for the caution about “recommended” intro-ing procedures *s* but you’re a very intuitive and savvy cat purrr-son. Some cats don’t read the rule books. She’s adorable! Congratulations (and now I know why we switched appointments!) to everyone, especially big sister Allegra! How wonderful that a new kitty got such a wonderful new home a family. Congrats to you and Ruby. What a wonderful gift to give and get. On a side note: People should be reminded that quick introductions to new furry family members don’t always go so well. A lot of rescues highly recommend that the new family member be kept in a nice small quiet room for at least ten days. Even if they are up to date on their shots and the kitties show no signs of being sick it is just good to keep them separated should there be any hidden underlying illness. It also really helps a lot of kitties to adjust to the new home. Some get so very over whelmed by the new smells and sights and such that they will go into a small area and hide. A lot of adopters don’t take our advice and I cannot tell you how many kitties have been returned and lost out on a good potential forever home simply because the kitty was never given the proper time and environment to adjust. Thanks (and I’m sure I probably know your name, but can’t figure it out from the e-mail address). You are, of course, absolutely right – quick introductions don’t always end well. I’m very much aware that I went against conventional wisdom by introducing Ruby and Allegra so quickly. It was a conscious decision, not a defiance of what every rescue group and every feline behaviorist recommends. I trusted my gut instinct, which told me that with these two individual cats and their respective personalities, it was going to work. Had I seen any signs along the way that it might not have worked out so well, I would have followed traditional protocol. It’s not something I recommend to others, but in this case, it simply felt right, and I’ve learned to trust my intuition over the years. Perhaps it’s time to address traditional protocol. Every cat and every situation is different. Conventional wisdom dictates caution but I agree with you about trusting one’s intuition and taking it day by day. When I introduced Odin and Gris Gris (who knew each other from same shelter) to their new home, I set up a separate kitty room with the intention of gradually introducing them to my old boy Merlin. Well, Gris Gris slipped out the first night and I found him snuggled with Merlin. The separate quarters situation lasted about three nights and after that everyone slept in our bed in one big happy family. I’m a professional intuitive but everyone is intuitive and can learn to trust their gut and not rules. Layla, I agree that every situation, and every cat, is different. The traditional protocol is in place for a very good reason. As the volunteer from Fancy Cats said, too many cats are surrendered to shelters for not getting along with the resident cat because the humans rushed the introduction. I think intuition plays a big part, as does someone’s comfort level with cats, and knowledge about cat behavior. I’ll be blogging about this in more detail in the next few days. I’m happy to hear that. 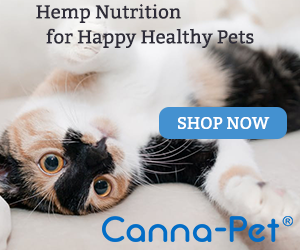 With the amount of excellent resources on cat behavior (like this blog) available these days even a newbie pet parent can gain experience and confidence quickly. You already know how thrilled I am and let’s hope Allegra takes Ruby under her wing (paw) soon. Ruby is soooo cute and wish you many years of joy with this furry lovebug! Thanks, Layla. I don’t think it’ll be long before Allegra relaxes. Congratulations and thank you for rescuing a shelter kitty. Way to go! I hope all three of you will be very happy and get along well together! Amazing how smoothly things are going already! I can’t wait to her more over the next few days, weeks etc!! Thanks for mentioning you adopted her from SPCA NOVA. We have so many other kitties who need homes! I can never thank you enough for suggesting that I meet Ruby, Kathleen! I, too, am amazed at how smoothly things are going already. Congratulations to you and (a slightly reluctant) Allegra! She’s adorable. Can’t wait to hear more! Thanks, Dawn. I immediately thought of your Cinnamon when I first heard about Ruby. Wishing you much joy with your new little cat and your old one, too. One of our beloved cats passed away last August, and eventually we were ready to bring another guy into our home, and it was the best decision we made. Great match and he’s helping to fill the hole in our hearts. Best of everything to you and your family. Thanks, Ellen. I’m sorry about your loss, and I’m glad that you, too, found another one to fill the hole in your hearts.